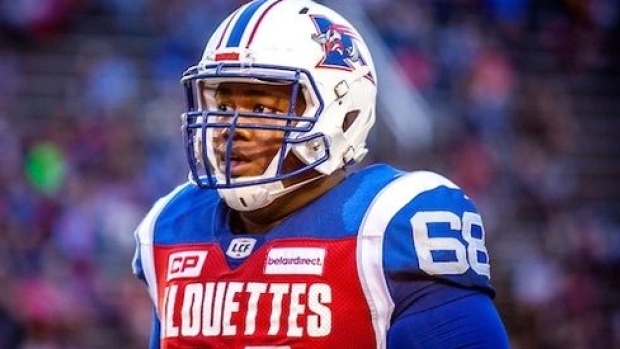 The Saskatchewan Roughriders have acquired national offensive lineman Philip Blake and national wide receiver Patrick Lavoie from the Montreal Alouettes for national wide receiver Josh Stanford and their second-round selection in the 2020 CFL Draft. Blake was originally selected by the Alouettes in the third-round (23rd overall) of the 2011 CFL Draft. The 32-year-old has started all 57 games played through four seasons in Montreal. The Baylor product spent 2012-14 in the NFL after being selected by the Denver Broncos in the 4th round (108th overall) of the 2012 NFL Draft. Lavoie was originally selected by the Alouettes in the 2nd round (11th overall) of the 2012 CFL Draft. After spending two seasons in Montreal, he was selected by the Ottawa Redblacks in the 2013 CFL Expansion Draft. The 30-year-old spent four seasons in Ottawa before being re-acquired by Montreal in a January, 2018 trade. Through seven CFL seasons, Lavoie has collected 138 receptions for 1,264 yards and seven touchdowns in 115 career regular-season games. He has added five playoff games and two Grey Cup games, winning with the Ottawa Redblacks in 2016.